This is the third guide in our Zapier Automation Content Series. We’ve prepared three instructional guides to help you use Zaps to automate manual workflows. You’ll also find two practical use cases profiling scaling sales teams who are using Zapier to connect up multiple apps and streamline their processes. Check out each of the 5 guides to learn how to recapture huge chunks of time and spend more time talking to leads and customers!!! Imagine you have just stepped out of a really important meeting. You had a valuable conversation and you feel like you're pretty close to closing the deal. There's just a couple of key follow-up actions you need to take before you can move the deal to the next stage. You get back to your desk, eager to update your CRM right away with meeting notes and some actions you need to take. You need to customize a proposal doc and send through some related case studies before you can start final negotiations next week. You have already ignored a stack of critical emails to get your update done, but the call is coming from a potential client that's about to close. They are questioning why you haven't responded to their email marked 'urgent'. Delaying any further could compromise the deal, so you have no choice but to jump on it right away. Most of your work days are rife with interruptions and most sales pros and business owners have to contend with more tools and apps than ever before. Multitasking almost seems like a job requirement for anyone juggling multiple prospect and customer relationships. Don’t settle for this stress and pressure. The more time your sales team spend multitasking, the less productive and efficient they become. According to research from Inc., lost productivity through multitasking is costing businesses approximately $450 billion per year. Even more worrying is the time you lose in the process! If your salesperson has to jump back and forth between tasks, it takes around 25 minutes to fully regain focus. How much time and cash is this multitasking juggling act causing your organization on a daily basis? We want to teach you how to Zap any repetitive, manual tasks out of your day! In the second installment of our Zapier series, we covered the simple zaps you can use to cut hours of admin off your sales process. But you should never settle for just a decent sales process. There are always more areas to optimize, more time to save, and more admin to automate. You should be constantly searching for ways to banish repetitive manual tasks from your workload. Simple Zaps are super useful. 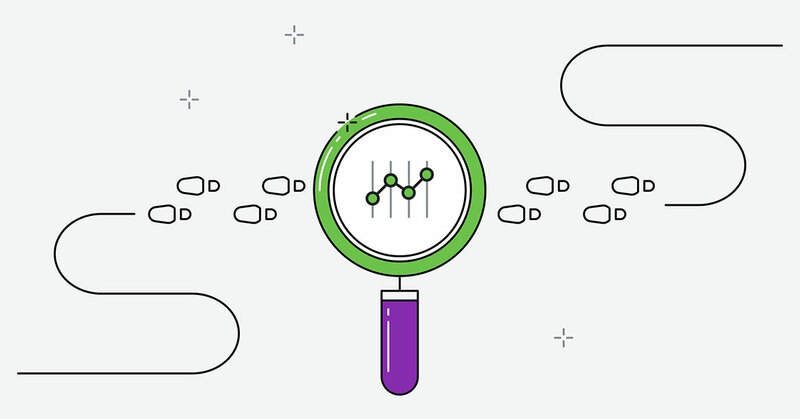 We’ve collected some of the most advanced, game-changing Multi-Step Zaps to help you scale your sales process with rapid speed. Zapier’s Multi-Step Zaps are to the salesperson what the digital camera is to the photographer. You don’t need to be messing around with developing negatives or hanging prints in a dark room. Now you can just point and shoot. Job done instantly. Zaps can eliminate the need to jump between tools and tasks with a single trigger. No matter how many different apps you use, Multi-Step Zaps allow you to customize an automated workflow according to your specific needs. Once you’ve set up a Zap, you can continue to add more Action steps onto that Zap to save yourself the hours of admin involved in switching between your CRM and all of your other tools. Imagine a single Zap that can add a task to your project management app, notify your team on Slack, and send a personalized email to your lead - all triggered instantly when you move a deal to a new stage in your Pipedrive pipeline. This is the type of turbo-boosting step change I’m about to share to help you scale your sales process almost instantly. 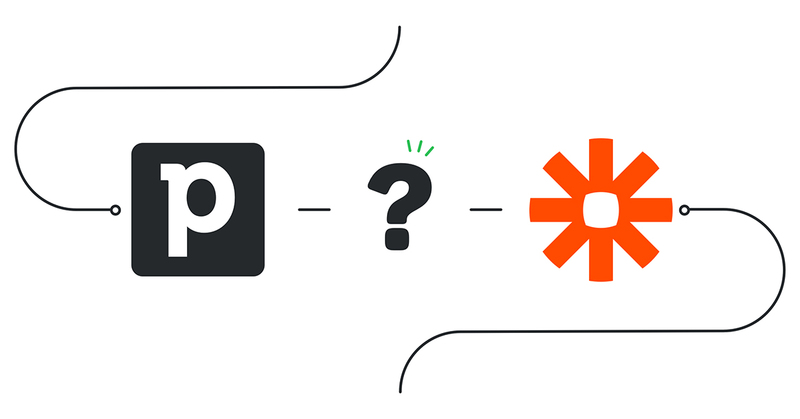 In the second article of our Working With Zapier series, we looked at ways to automate data entry from forms directly into Pipedrive. But what if you want to take this one step further? Rae Hoffman, Co-owner of search marketing company PushFire, used a Zap to add leads captured by Gravity Forms to Pipedrive. 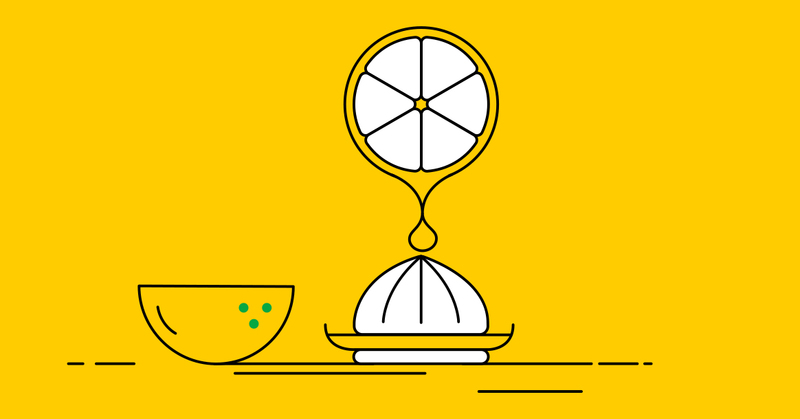 Once Rae got a taste for automating tasks with Zaps she wanted to take it a step further. Rae set up a workflow that created a person, a deal, and a note in Pipedrive for every new form submission. Previously Rae was manually entering data into Pipedrive and adding new organizations, people, and deals - all by hand. Using a multi-step Zap, the submission of a Gravity form can create four separate, yet connected, actions. Immediately. Without anyone lifting an administrative finger. “The combination of Zapier with Pipedrive had a huge impact on our lead management process. The obvious benefit was the time shaved off leads entering into that process — which equated to saving several days’ worth of an employee’s time per month from a data entry standpoint using the above Zap alone. But it also meant we had fewer leads falling through the cracks. Our response times became quicker because leads weren’t being buried during days with heavy email volume.” - Rae Hoffman. Of course, when a new lead comes your way, it’s crucial to capitalize on their interest immediately. Too many opportunities are lost when follow-up actions are delayed. But with leads coming in hot from every direction, you can quickly find yourself overwhelmed with data. The good news is, one Zap can allow you to pursue your new leads instantly. You can use form submissions to trigger several follow-up actions automatically. Getting in front of your potential customers is usually a critical step towards sealing a deal, but the process of scheduling appointments can be a massive distraction in the middle of your workday. Settling on a date and time often demands an infuriating barrage of back and forth (this sometimes takes more time than the appointments themselves). Janna Bastow, the co-founder of product management software ProdPad, wanted to take the hard work out of scheduling demos. You can eliminate your back-and-forth meeting communications by creating Zaps between calendar tools and Pipedrive. When you’re working on an important lead, pinpointing the information you need can feel like finding the proverbial needle in a big data haystack. If you’re lucky, you’re going to have a lot of incoming leads. But you don’t want to settle for luck! To scale successfully you need a process that minimizes the time it takes to identify the best leads. You need to know which leads are most worthy of your precious time and energy, and you need to know it fast. Zapier’s Filter app allows you to fine-tune your workflows and cut through the noise by isolating only the data you need. Check if form submissions contain specific keywords. Trigger deal alerts with the right people. Prevent errors by checking for blanks. Say your team has several verticals to service and you need to handle incoming deals for specific industries. You want to make sure no time is wasted by assigning an incoming lead to the correct owner. A simple filtered Zap can simplify this otherwise manual task instantly! When you receive a new form submission, you can set a filter to check for the industry keyword. Based on that keyword, you can automatically create a new deal in Pipedrive and send a Gmail notification to the new deal owner so they can determine their plan of attack right away. Of course, there are myriad ways to use Zapier Filters to add an extra layer of control to your Zaps. Rae Hoffman used Filters to make sure her clients received the correct information once a deal was closed. You can also use filters to notify the team when a target organization expresses interest. Email newsletters are a useful channel for nurturing leads, but it’s unlikely that every subscriber is worthy of attention. You can make a list of the companies you’re interested in and Zapier can notify you when a target company subscribes and add them to your CRM. Every salesperson needs a clean, reliable database that can act as a single source of truth. Pipedrive is designed to minimize all instances of duplicate records, but the reality is that most duplicates come down to human error. When manually entering data, it’s easy to find yourself with several records for the same contact and an array of email addresses and phone numbers. The sure way to Zap this frustration out of your workflow? Search Actions allow you to tap into the powerful data that already exists in your apps to avoid wasting time manually searching for information. This means you can look up specific data and use it later in the same Zap. For example, you could use a Search Action to find a contact or organization in your CRM and then send the data to another app. Some Search Actions can also create new data and offer the option to tick a checkbox that says ‘Create this item if it doesn't exist yet?’. This way, you can instruct the Zap to find the data, or, if it can’t find it, create it instead. For example, if someone fills out a ‘Contact Us’ form, Zapier can check if they already exist in your CRM. If they do exist, a simple Zap can dig up the existing record and update it with the new form answers. This is an invaluable time-saver. In the case that the contact doesn’t exist, this simple Zap can create a new lead for you. Context switching is undoubtedly one of the most damaging productivity killers. All too often salespeople are jumping from one tool to the next, moving data back and forth, chasing leads here, there, and everywhere. If you want to save your team a huge swathe of time (and sanity) you need to find a way to cut down the task load. Our Pipedrive and Zapier integration can eliminate the need to bounce between tasks so your team can focus on the activities that matter most - closing deals and scaling revenue growth. Effective use of automation is becoming inextricably linked to success in sales. If you want to scale your efforts quickly and build sustainable success, it’s time to get serious about incorporating simple automation technology to optimize your sales process. Don’t get stuck in the day-to-day. Start automating your admin tasks now to build that compounding time-saving investment for the future. Zapier’s paid plan offers Multi-Step Zaps, so no matter how many different apps you use - you can customize an automated workflow to cater to your business needs. Zapier offers a free 14-day trial so you can try out these custom Zaps before committing.